Cybersquatting - Help! Someone Else Owns My Domain Name! 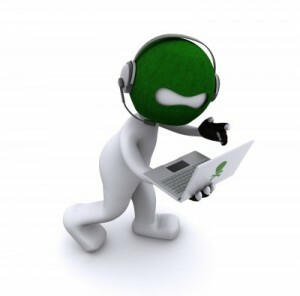 Cybersquatting or “domain squatting” is a term used to describe the registration or use of a domain name in bad-faith, with the intent to make a profit by either leasing or selling the domain name back to the “brand owner” at a much higher price than a domain is usually priced. Cybersquatting is not uncommon in NZ. My own domain name, “Energise” has two different spellings and a few years ago, I realised that there was another website, energize.co.nz that was all about power supply companies. Because this was a genuine use of the domain name and not in conflict with my own business, it wasn’t a problem, even though I got the occasional email about the most energy efficient lightbulbs! However, that website eventually disappeared and the domain was bought by a cyber-squatter. He had it listed for sale at around $2500. While I considered purchasing it, I took another option and altered my brand slightly from Energise to Energise Web. I then registered both energiseweb.co.nz and energizeweb.co.nz. This made the other domain less valuable and eventually the squatter let it lapse and I was able to purchase it on the open market. Initially, it is always worth contacting the owner of the domain name that you believe is rightfully yours. It may be that they have registered the domain in good faith, not realising that you had a trademark on the name or that it was your company’s brand. Some years ago, I registered www.whangareionline.co.nz to build an online directory (now a national directory), and a few months later got a phone call from someone claiming that it was their domain. It turned out that this other person had previously owned the domain and built a website using it. However, they had either decided not to renew it or just forgotten to renew it and the domain name had lapsed. In New Zealand, there is a 90-day holding period after a domain lapses before anyone else can register it in another name, so there is plenty of opportunity to retain ownership. In this case, there was no trademark and I had no intention of on-selling it, so I had no obligation to return the domain. Make sure your domain names are renewed! Informal Mediation – a free process using an independent person approved by the DNC. These people are qualified mediators. Expert Determination – a group of very highly-qualified individuals that include retired barristers and QC’s. A referral to one of the experts costs $2,000 + GST. If the fee isn’t paid, the complaint is considered to be withdrawn. Appeal – If a decision from an Expert Determination is appealed a fee of $7,200 + GST is required. It would have to be a really good domain name! The registration of the .nz domain name in the hands of the current registrant is unfair. In other countries, there are different processes in place. The resolution service has received hundreds of complaints since it was launched in 2006. If you have a trademark, your complaint has a much higher chance of success. Complaints that can’t prove the prior use of a domain name or registration of a trademark as unlikely to succeed. Trying to claim a generic name like “boats.co.nz” (see example below) is pushing the proverbial uphill. Legal advice and/or representation is a good idea if you think the stakes are high enough. Being able to make a complaint in an effective, clear and concise manner, with the appropriate supporting documentation is the key to a successful claim. Cybersquatting does not apply to generic names such as “boats.co.nz”. This is a domain name I purchased from the previous owner by private negotiation. I paid considerably more than she would have paid for it back in the late 90’s when it was originally registered. Good on her for her foresight! Quite a number of people speculate in domain names, sometimes registering hundreds or even thousands of domain names. The profits from an individual domain can be huge but the costs of holding so many domains is an ongoing drain on cash flow that doesn’t go away!